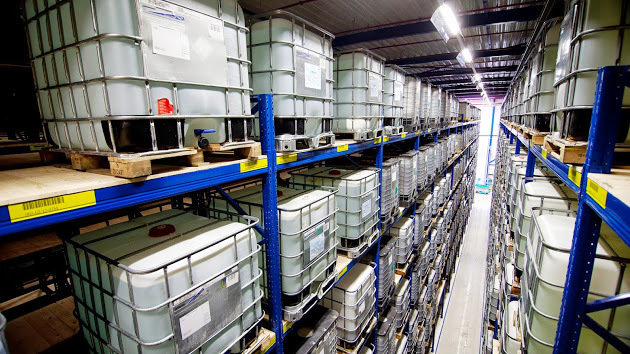 Vivochem has more than 125 years of experience in storing, handling and distributing fuels and chemicals. Vivochem is ISO 14001, ISO 9001, GMP and HACCP Certificated. Vivochem subscribes and supports Responsible Care programmes. From it’s location in Almelo (The Netherlands), ViVoChem distributes chemicals through The Netherlands, Belgium and Germany. Moreover, we export chemicals worldwide. From our warehouse ViVoChem loads sea containers to serve our customers overseas. Because of the convenient location between Rotterdam and the Bremen/Hamburg area, we are able to ship chemicals fast to worldwide destinations. Besides this, ViVoChem has proved to be an interesting partner for Eastern European companies because of its location in the east of The Netherlands. This applies not only for the supply of chemicals, but also for chemical services such as warehousing and drumming. To serve the local market ViVoChem has seven trucks that comply with the ADR-legalisation for transport of dangerous goods. This way we are able to supply our customers continuously and flexible.